The Navy’s help for women heading back to civilian life extended beyond just the practical information needed to muster out of service. 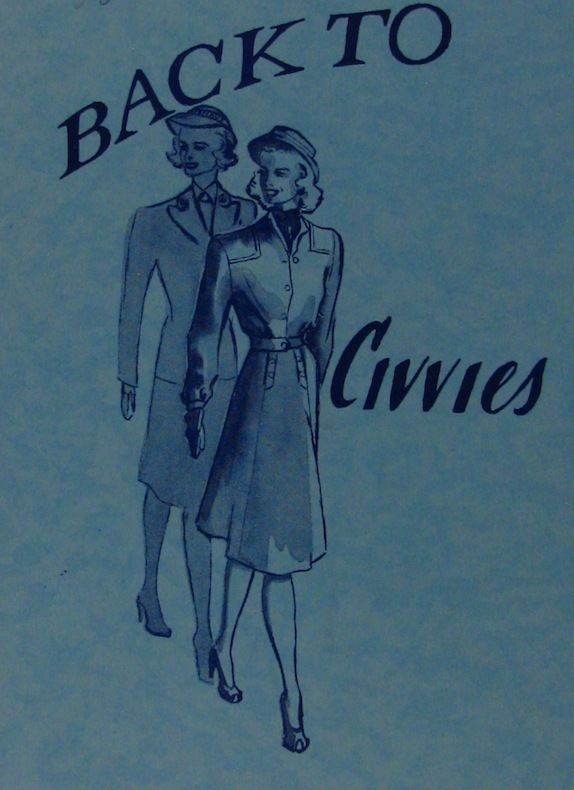 Remember, the WAVES were consider the most fashionable and best dressed branch of the service, with couture uniforms designed by Mainbocher. So it should come as no surprise that the Navy offered women suggestions for how the former WAVES could remain fashionable after they returned home. This booklet is held by the The Betty H. Carter Women Veterans Historical Project at the University of North Carolina Greensboro. The WAVES were an amazing group of women. They still are. Not long after my fiancee graduated from bootcamp this year, former WAVES were present at the RTC to commission and sponsor the first all female navy division in recent history! The RTC Facebook site has pictures of the commissioning!